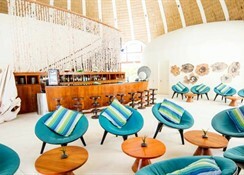 This beach resort basks in its idyllic setting in the Maldives just a 2 minutes' walk from the beach. Guests can take an exciting speedboat ride from the airport to the South Male Atoll- which takes just 40 minutes. 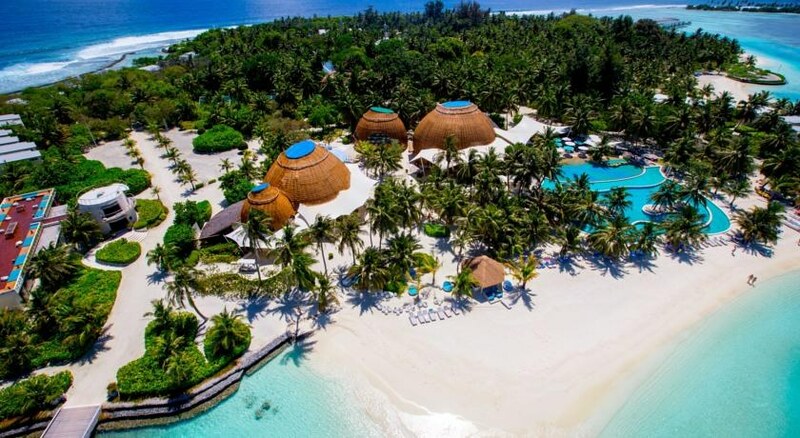 Nestled amidst swaying palms and featuring breath-taking Maldivian style- the hotel and bungalows settle harmoniously into the natural surroundings. The stunning lobby features an atrium-style- rattan ceiling and soft colours- brought to life with splashes of blue- beautifully reflecting the elements of nature surroundings the resort. 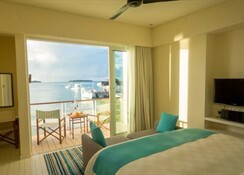 The guest rooms feature soft- nautical colours and tones- creating a sense of calm and relaxation and a cocoon of tranquility where guests can relax and unwind in comfort. 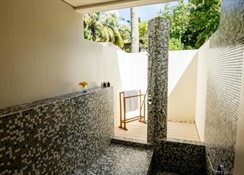 More active guests will be impressed with the recreational activities just waiting to be enjoyed including canoeing- snorkelling and water-skiing. The atmosphere on the island is extremely easygoing. There is absolutely no pressure to do anything. The hotel's team of staff is extremely friendly and accommodating. 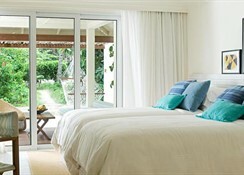 The property itself comprises a total of 120 guest rooms. It provides guests with a comfortable base for a truly unforgettable stay. Facilities on offer include 24-hour reception, a cafï¿½, a bar, a disco, a restaurant and room and laundry services. 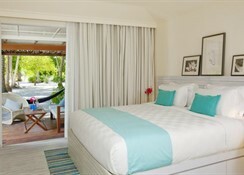 Bright villas have picture windows, free Wi-Fi, flat-screens and iPod docks, plus indoor and open-air showers. 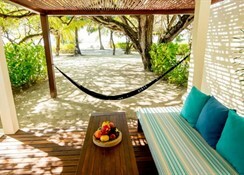 Some 2-story villas have living areas with sand floors; villas on stilts over water have sun decks and partially submerged hammocks. This upscale resort of chic villas on a private island that's separated from Guraidhoo island by a lagoon is 4 km from Maafushi island. Amenities include an international restaurant with sunset views, a fish restaurant, a cafe (breakfast is available for a fee), and a beach BBQ. A spa offers Thai massages, a garden and a plunge pool, and there's also an infinity pool. Diving and surfing are available.